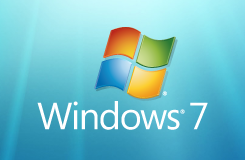 Microsoft CEO Steve Ballmer announced at CES that Windows 7—the highly anticipated followup to Windows Vista—will be available as a free, public download on Friday, January 9. Windows 7 Beta has been out in the wild (i.e., BitTorrent) since December, but if you've been waiting for things to get a little more legit before you tried it out, you won't have to wait much longer. I have just read the release notes for a Windows 7 beta I have access to and found that MP3 files with embedded album art or a large quantity of metadata may permanently lose several seconds of content from the start of the files when added to WMP or Windows Media Center... I hope that this has been addressed before Friday's release - it seems to be a somewhat enormous stumbling block! Hooray! I've been waiting patiently for this since I discovered the leaked version was 32-bit only. Where do u get it? its saturday and i can''t see it on microsad's site?? ?